Ripple Farm Organics ‘Mixed Leaf Salad Bags’ are harvested by hand at the Farm in Kent, early in the day to benefit from any dew, and packed the same day with care taken in their presentation. The salad bag contents are carefully chosen to give a balance of tastes, textures, aromas and colours to please the taste buds and the eyes. 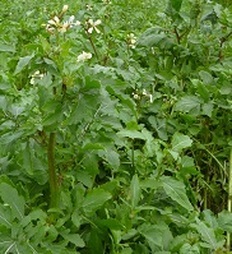 Edible flowers are often included for appearance (they taste good too) and a variety of herbs are added sparingly to complement the salad leaves. The mix of ingredients changes gradually through the seasons. 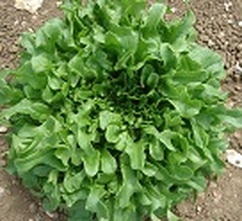 The ‘summer’ bags tend to be milder and sweeter, a typical bag may include mizuna, green wave, rocket, lolla rossa and oakleaf lettuce with a taste of nasturtium leaf and flower. 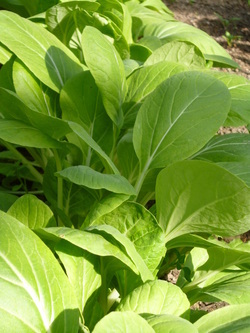 The ‘winter’ bags rely on more of the hardy, and often hot, Chinese and Japanese leaves, a bag may include the hot giant red mustard, bright red raddichio, green wave, pak choi and the delicate yellow flowers of purple flowering choy sum. No two bags are the same, with ingredients changing from week to week according to the seasons. 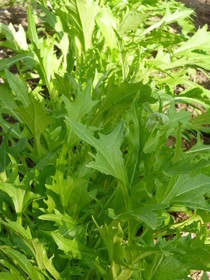 The salad leaves are packed un-washed. To prepare, we recommend washing, then cutting or tearing all the leaves and mixing together, and serve with a dressing of your choice. Keep refridgerated. 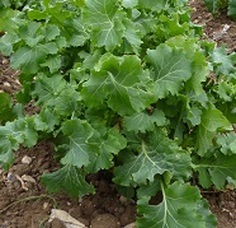 For most of the year our mixed leaf salad bags contain mustard leaves, this is indicated on our salad bag labels as mustard is one of 14 allergens that must be clearly labelled on UK packaging. New leaves are light green with purple ribs, and these darken to purple as they grow, and through exposure to cold. 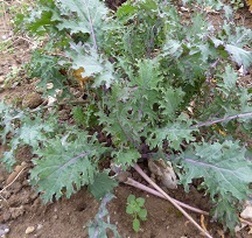 A very sweet tasting kale, the one most often nibbled on when out in the field! 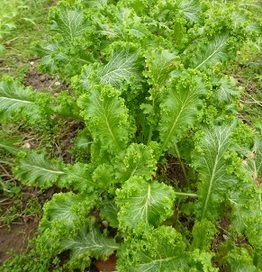 We grow it July to March, but generally just added to the winter salad mixes. 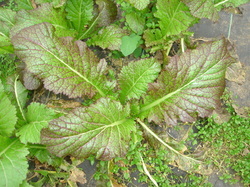 Green leaf with serrated leaf, similar to 'Green Wave' but even hardier (hence the name). Distictive, mustardy taste. Can be grown all year round. Long, thin green leaf with bright red ribs. 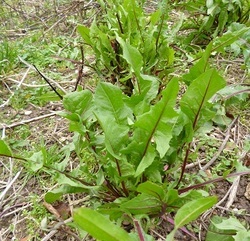 A bitter salad leaf, used sparingley to add colour and strong flavour to milder leaves. 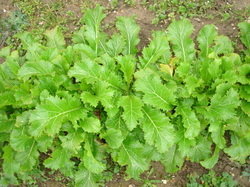 A loose-leaf lettuce, Oak leaf has very attractive serrated, deep-green leaves sometimes tinged with red. Long, thin green leaves with a very slightly hot taste. 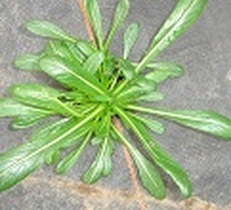 Diplotaxis tenuifolia is a species of flowering plant in the mustard family known by the common name perennial wall-rocket. 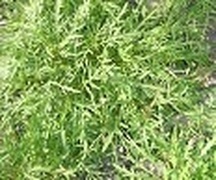 This plant is native to Europe and Western Asia. 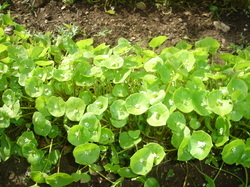 It can be found throughout much of the temperate world where it has naturalized.